Perfect for those who love a good fairytale, majestic castles, and charming villages! Excellent tour. The castle is so beautiful and charming. We experience snow for the first time. So to us it's totally worth it. So fairy tale! 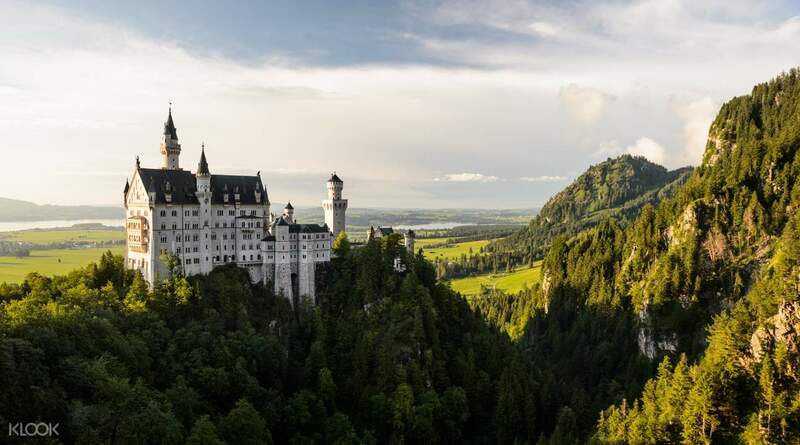 See the castles that inspired Disney movies in the flesh with this full day tour to the beautiful German countryside! Created by Germany's Ludwig II (also known as the Swan King), the two castles are famous for their extravagant architecture. Depart from Munich at 8:30am, and then marvel at the beautiful German countryside inside comfortable air conditioned coaches on your way to Linderhof. 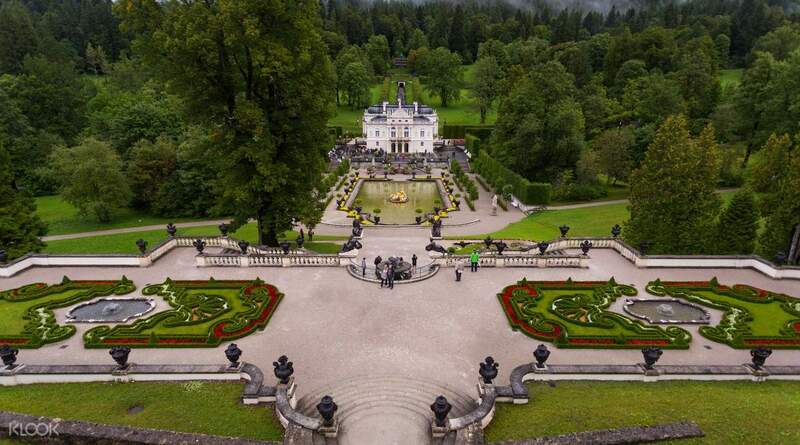 The first stop is the Linderhof Royal castle, a 19th century Romanesque-revival castle inspired by the Palace of Versailles. Feel like royalty as you walk through the castle grounds. After touring the castle, you'll be taken to the charming village of Oberammergau, where you can have lunch (at own cost). 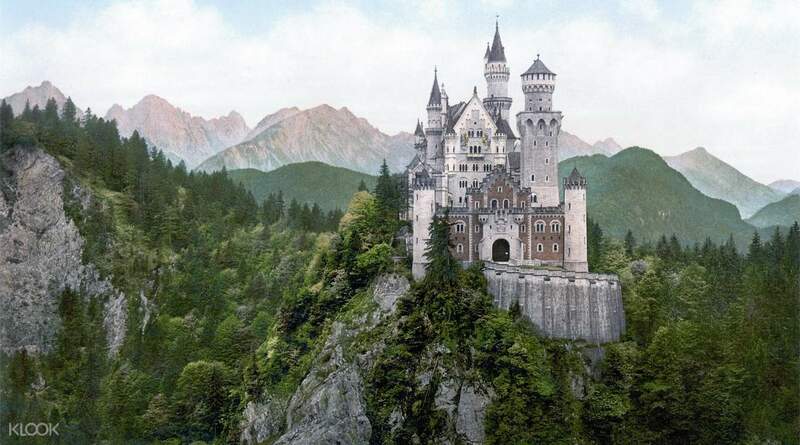 Last but definitely not least, you'll visit the fairytale-like Neuschwanstein castle, that on good days almost looks like it's sitting on the clouds. There you'll have approximately four hours to explore the beautiful castle on your own - the perfect ending to your own fairytale. Is value of money which included very good bus tour and your guide service. Depart on time. Tour guide is able to give clear info and direction in English and activity flow is being controlled well to ensure all agenda being covered on time. We even have some small break to enjoy local village ice creams. I will definitely recommend this to others who is planning to visit Neuschwanstein castle. Is value of money which included very good bus tour and your guide service. Depart on time. Tour guide is able to give clear info and direction in English and activity flow is being controlled well to ensure all agenda being covered on time. We even have some small break to enjoy local village ice creams. 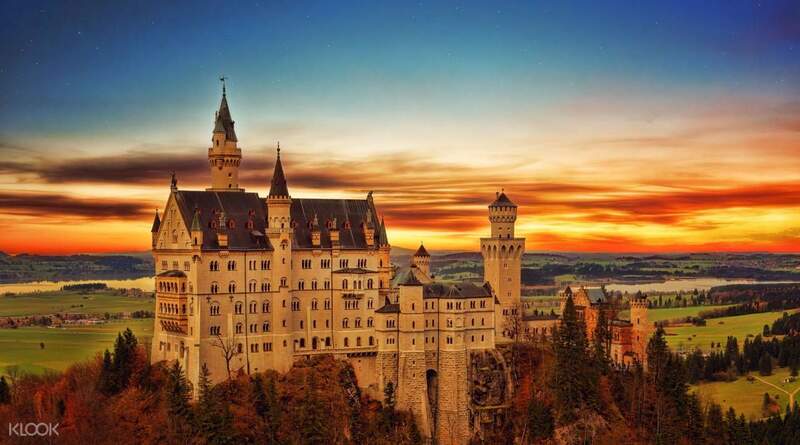 I will definitely recommend this to others who is planning to visit Neuschwanstein castle. This day tour is a must do if you are staying in Munich! this tour was very organised, the coaches are very new and comfortable, the guide and the driver was very friendly and the guided information along the way is interesting and informative. Both castles were amazing!! This day tour is a must do if you are staying in Munich! this tour was very organised, the coaches are very new and comfortable, the guide and the driver was very friendly and the guided information along the way is interesting and informative. Both castles were amazing!! It was a great experience! ▪️Tour guide was helpful and knowledgeable. ▪️Meet up location was easy to locate. There are 2 buses for the tour. One will be English tour, the other will be multi language tour. ▪️Bus departed at around 8:40am. The whole journey was paced comfortably. ▪️They do sell drinks on board as well, such as Mulled wine, hot chocolate, coffee, tea, coke, etc. Eye-opening experience! It was a great experience! ▪️Tour guide was helpful and knowledgeable. ▪️Meet up location was easy to locate. There are 2 buses for the tour. One will be English tour, the other will be multi language tour. ▪️Bus departed at around 8:40am. The whole journey was paced comfortably. ▪️They do sell drinks on board as well, such as Mulled wine, hot chocolate, coffee, tea, coke, etc. Eye-opening experience! Very interesting stories of king ludwig II was shared by the tour guide Kristine, part of the Neuschwanstein castle is under renovation and Linderhof castle. 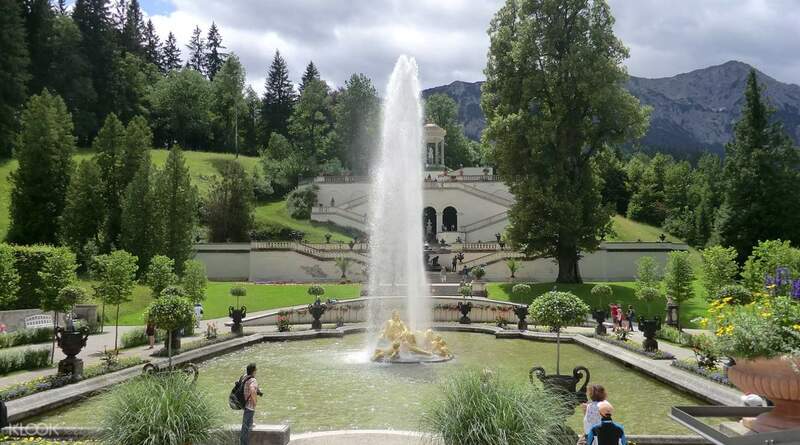 Linderhof is so beautiful and inspiring! Tho some of the sculptures is covered during winter but overall is good! It’s snowing now so if u like snow it is the best time to go! Very interesting stories of king ludwig II was shared by the tour guide Kristine, part of the Neuschwanstein castle is under renovation and Linderhof castle. Linderhof is so beautiful and inspiring! Tho some of the sculptures is covered during winter but overall is good! It’s snowing now so if u like snow it is the best time to go! Though the hike to the castle takes 30 minuets, it still worths the visit. The crowd control is nicely done, in which visitors are assigned a time slot to get into the castle. You may take the horse ride as well though it’s a bit tough for the horses. The view is superb.It’s quite a nice experience on the whole. Though the hike to the castle takes 30 minuets, it still worths the visit. The crowd control is nicely done, in which visitors are assigned a time slot to get into the castle. You may take the horse ride as well though it’s a bit tough for the horses. The view is superb.It’s quite a nice experience on the whole. Perfect destination to experience this beautiful city, with great transportation arrangement from the travelling company, and our tourist guide is friendly and nice. Perfect destination to experience this beautiful city, with great transportation arrangement from the travelling company, and our tourist guide is friendly and nice. The castle ticket was sold out at the official website but luckily there's KLOOK! so we wouldn't miss the chance to visit this amazing castle! We also get to visit the nearby village as well! The castle ticket was sold out at the official website but luckily there's KLOOK! so we wouldn't miss the chance to visit this amazing castle! We also get to visit the nearby village as well! Q: Are there specific times where I can enter the castles, or can I visit any time during the day? A: The entrance tickets to the castles are not open tickets, but guided tours at the castles that start every few minutes. The entrance tickets are marked with the exact time of the tour, and you need to be at the entrance to the castles during the time indicated to be part of the tour.